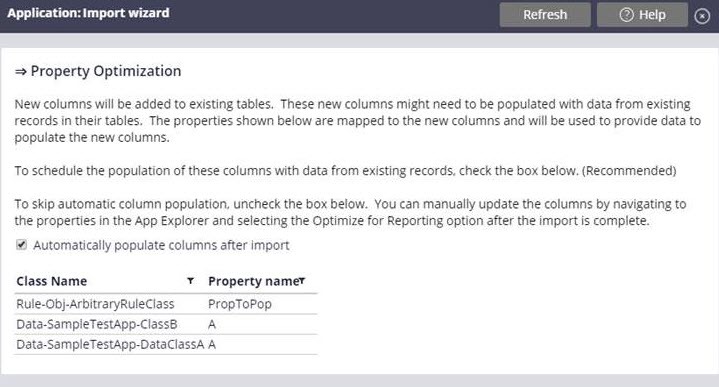 If an imported archive file adds columns to existing tables, Pega Platform can automatically expose and populate the new columns during the import. For more information, see Import wizard. If an imported archive file includes new indexes, use the Import wizard advanced mode to schedule a post-import job to automatically add and populate the new indexes. For more information, see Import wizard. 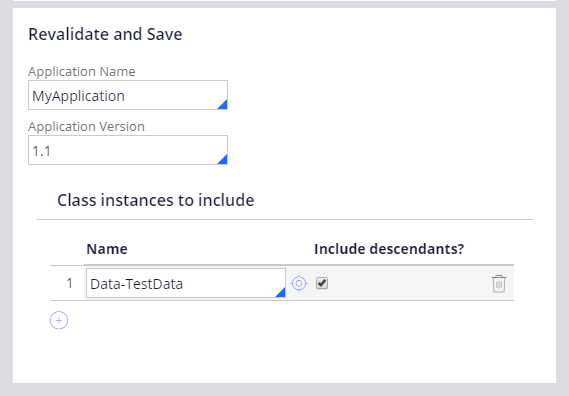 If an imported archive changes the class-to-table mapping for a class, existing instances are automatically migrated to the new table. For more information, see Import wizard. To automatically revalidate and save classes after an upgrade, edit the product rule definition. For more information, see Specifying product rule deployment options. To bypass updates for specific classes and only import new instances of those types, edit the product rule definition. For more information, see Specifying product rule deployment options.